Fits 1986 & newer MCM 4 cyl, V‑6 & V‑8 (305 & 350 cid) engines with the newer MerCarb 2bbl. having the current side fill accelerator pump cavity. 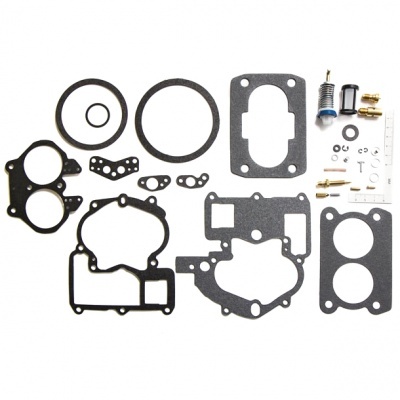 Includes all parts as pictured gaskets, filter, accelerator pump, needle and seat etc.